Ciao, my name is Laura, your tour guide for the Veneto region and an address for some of the most prestigious Veneto wines and wineries. After completing my language degree (English and German) at the University of Verona, I started travelling around the world, discovering new places and meeting different people. I gave classes in Italian, culture and cooking whilst abroad in Australia and in Europe. I lived in Belgium for six years. During my time abroad I met many people who were enthusiastic and interested to learn more about my country and its traditions. Coming back to my place of birth, I worked for four years as a tour guide for a travel agency based at Lake Garda. Most of my work involved guiding American, English, German, Belgian and Dutch tourists around the Veneto region. Currently, I live on my family-owned wine estate at Brigaldara www.brigaldara.it in the heart of the Valpolicella wine region, which is where I was born and grew up. 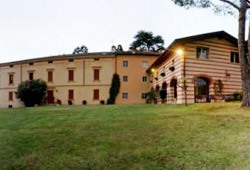 At Brigaldara my brother produces quality wines such as the well-known Amarone and Recioto which are exported worldwide. Living in Brigaldara, I developed my love for good wine and fine food and rediscovered the natural beauty and richness of this territory. 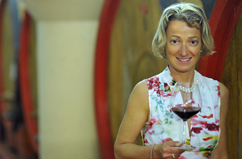 A few years later I decided to start a three year course to become a sommelier in order to understand more about wine culture and traditions in both Italy and elsewhere. It was fascinating and interesting to taste so many different wines. 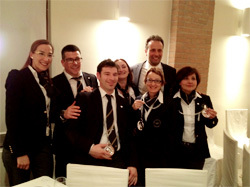 In January 2013 I passed the written and oral exams and I am now a licensed Sommelier under the Associazione Italiana Sommelier (AIS). I especially enjoyed learning how to find the perfect combination between food and wine which I now offer as a special tour called wine tasting in my apartment on the Brigaldara wine estate where I live. If interested refer to winetastings at home. Come and visit me. I would love to share this beauty and fascination with you!